Oh, the joy of simplicity and comfort combined! 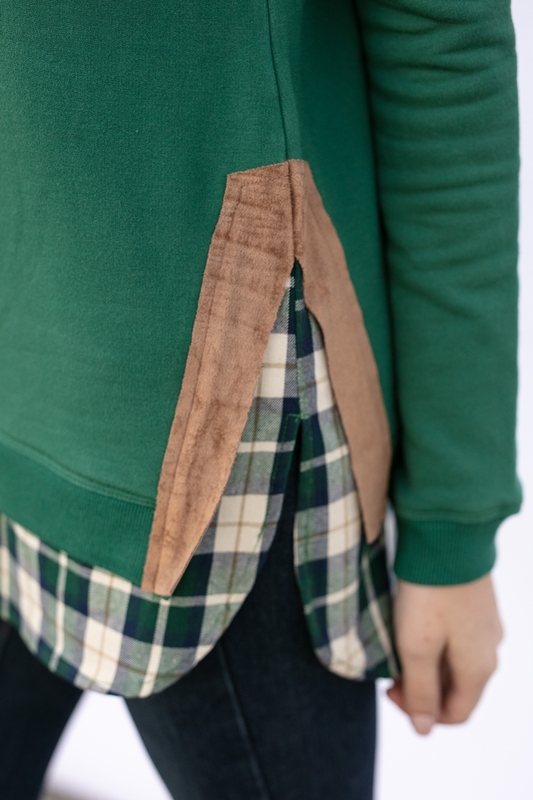 The Charlotte pullover is a fun cousin to our popular Bryony, with a similar shirt hem peeking out along the bottom, and a gorgeous faux suede/vegan suede accent along the sides. Made from a soft, luxe fabric, the Charlotte is meant to be layered over thin tanks, tees or camisoles. The hood-less body has a slight A-line shape that flatters all body shapes. 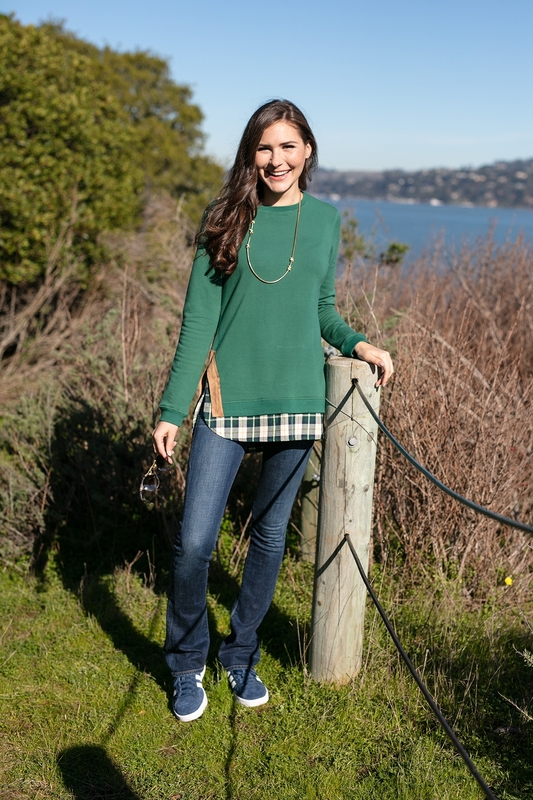 Wear over the Evy’s Tree Skinnies, or any of your favorite leggings or jeans for the ultimate in chic leisure and style! The Charlotte is very true to size; sizing up or down is not recommended. Model for the Charlotte in Green Garden is @vanessawilkinson. Professional photography by http://www.dasophoto.com/ (@DASOphoto on Instagram). Hair/makeup is by Katie http://www.whimsybridal.com/. All accessory details are in our listing. For complete sizing suggestions and measurements please see the Sizing Chart (under the Fit and Care tab in the listing).